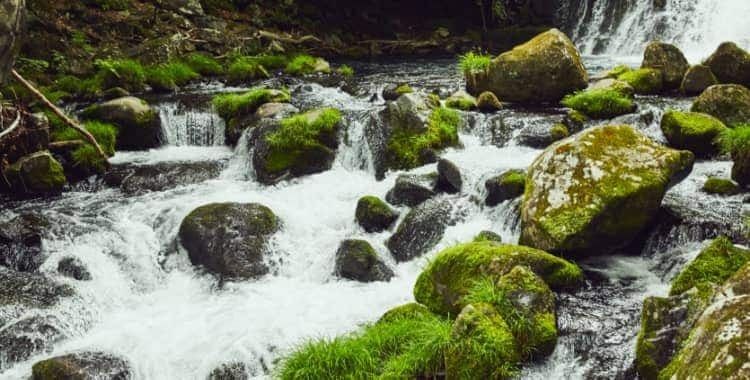 It is the place to enjoy Tateshina highlands fully. Clear stream and forest display dynamic contrast. 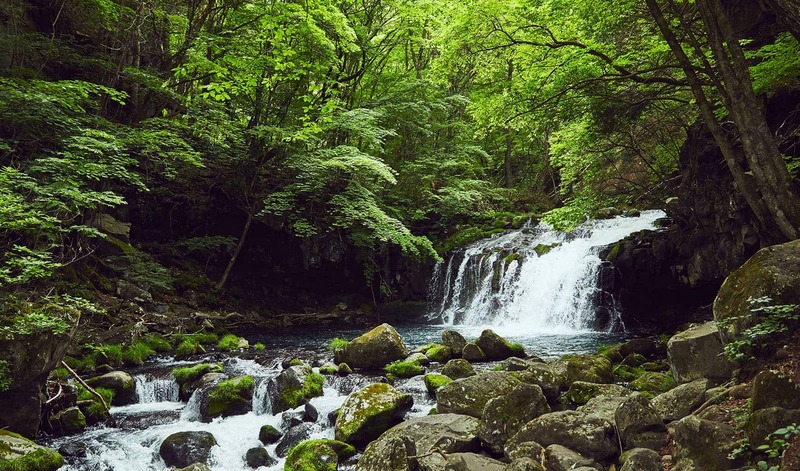 It says that Takeda Shingen eloborated his strategy nearby Otaki waterfall. 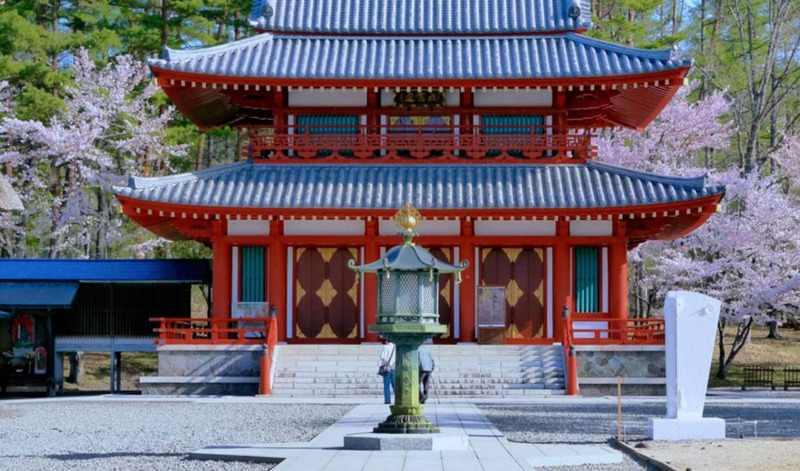 Shokoji temple was built on 1970, July by the assitanceof Toyota and affiliated companies. It is the only temple in Japan to pray for the traffic safety, traffic accident victims, recovery of injuries. Every July, chairman and president of Toyota pray for the traffic safety. This is one of the cherry blossom spot where 300 cherry tree flourish from late April to late May. 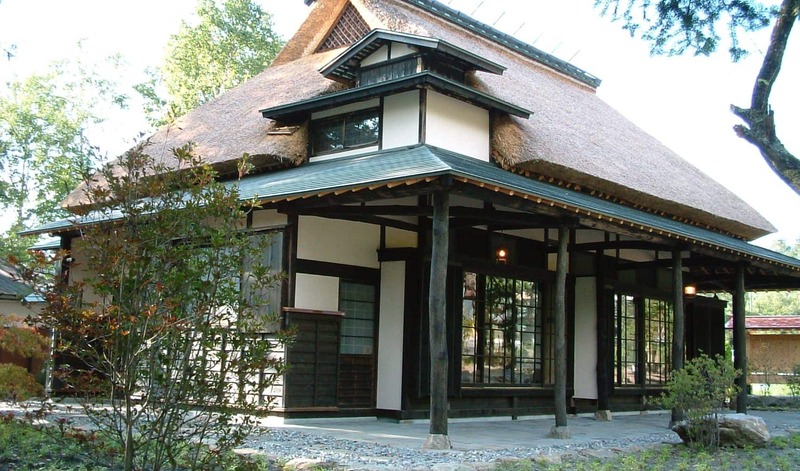 Mugeisou was a workplace and place of rest for the master Ozu Yasujiro. This mountain villa was located in Tatshina Purudaira. During the cinema festival, Mugeisou is open for free. 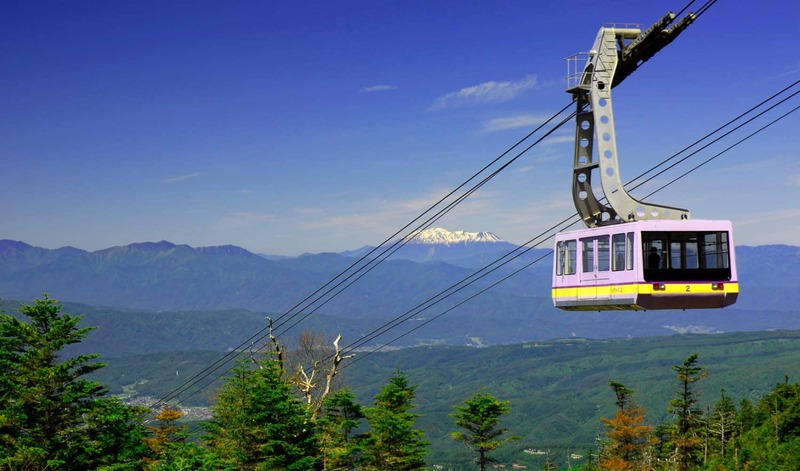 There is ropeway which carries 100 people to the top of mountain. The altitude is 2400m. From the top, you can enjoy the beautiful scene of North and Central Japanese Apls. There is spot garden with mountain plants. In winter, it is going to be dynamic ski slope with 4km distance. 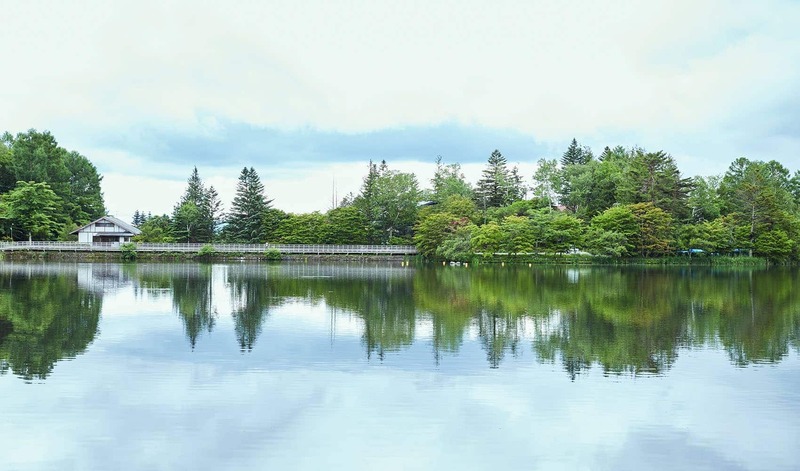 Tateshina Lake is artificial lake that is surrounded with Japanes white birch and larch. The circumference is about 1km. In every season, you can enjoy the beauty of the lake. Yatsugatake is visible on nice weather. Forest park along the lake symbolizes open air museum. In July 2018, new facility “HYTTER” is opened where everybody can enjoy BBQ and beer surrounded by nature.